« John Tortorella is fired, and we’re left to wonder why. Moving east, has any team vanished in a playoff round more so than the New York Rangers? They got rolled over by Boston like a pee-wee team in a charity game. If it wasn’t for an overtime win in Game Four, New York would have been swept, forever forgotten that they were even on the ice to begin with. One could argue that the Canucks performed the same way the last two years, but that’s to be expected. It’s Vancouver. As a result of their second-round failure, and being one year removed from being a step away from the Stanley Cup Final, the Rangers handed head coach John Tortorella his walking papers. I’m going to miss Torts and his angry personality, but I’m sure some sports network will sign him up to be an analyst soon and I’ll get to see his smiling face again. Lastly, what were the officials thinking waving off that goal in Game 7 between Chicago and Detroit? The whistle was blown after the puck was in the net, so why shouldn’t the goal have counted? Some analysts on NBC defended the call, saying it was a legitimate penalty. That may be true but it was still called after the goal was scored. Referees are taught from Day 1 that in the third period and overtime, they are supposed to swallow their whistles unless someone is knocked unconscious or decapitated. Referees are supposed to be part of the game, not stars of the game. Had the Red Wings won, they would be talking about this call for years to come just like Brett Hull’s “goal” in Game 6 of the 1999 Cup Final. Thankfully, Chicago ended up winning in overtime and the NHL avoided a potential Steve Bartman-esque incident. 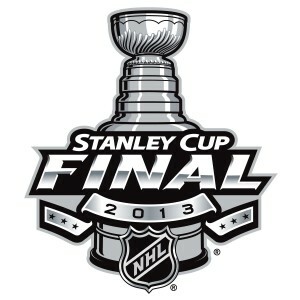 With those questions out of the way, let’s get to the big one: Who will play for the Stanley Cup? The way the Penguins rolled through the regular season, many analysts thought the Bruins were the only team that stood between Pittsburgh and a Finals berth. Boston has been good and lucky in the playoffs – a good combination to have – but I don’t see them giving the Pens a huge fight. After getting a battle from the Islanders, who showed that they are a team on the rise, Pittsburgh throttled Ottawa so badly that you have to wonder if the Senators had money on the game. Evgeni Malkin and Sidney Crosby are scoring at will, and Kris Letang has been an assists machine. Tomas Vokoun has also been stellar in net with a 1.85 GAA after replacing Marc-Andre Fleury. The Bruins should keep pace in the first few games. David Krejci has been having a great playoffs (17 points) and if Boston were to make it into the Finals, he’d be the frontrunner for the Conn Smythe Trophy. Goalie Tuukka Rask has done his part but I don’t think he’s ready for the onslaught he’s about to receive. The Bruins had a great year and they gave their city something to be proud of after the Boston Marathon tragedy, but the better team moves on. Pittsburgh in six. The two frontrunners in the Western Conference squeaked past their second-round opponents in grueling seven-game series. This one has the potential to go seven games as well. Despite being heavily favored, the Blackhawks had to overcome a 3-games-to-1 deficit to beat the Red Wings, but they are probably better for it. Chicago showed it can not only make a big comeback, but also stay focused in a long series. Marian Hossa and Patrick Sharp have been the stars so far, but goalie Corey Crawford has continued his hot regular season, posting a 1.70 GAA in the playoffs. The defending champion Kings have also had their difficulties. They had to come from down two games to none in the first round to beat St. Louis then gut out a series win against rival San Jose. Los Angeles has shown it’s more than capable of winning another title. Even though they’ve proven me wrong so far, I’m convinced this is where its season ends. The Kings have a balanced scoring attack, but they haven’t been able to consistently put the puck in the net, and as good as Quick is, he can’t keep bailing them out forever. Quick keeps the series low-scoring, but the Blackhawks eventually overpower him in the end, and win the series at home. Chicago in seven. While the NHL has been rightfully getting all the focus right now, the AHL is also down to its final four teams. As of Thursday morning, both series are getting ready for Game 3 and are tied 1-1. In the East, Pittsburgh’s affiliate, the aptly named Scranton-Wilkes Barre Penguins, is facing off against the Syracuse Crunch, Tampa Bay’s affiliate. The Crunch have swept through their first two opponents, while the Penguins easily got past Binghamton, they were pushed to the limit against Providence. So far in the playoffs, SWB has been led by top-line forwards Trevor Smith and Chad Kolarik, and backstopped by great goaltending from Brad Thiessen (1.27 GAA, .958 save percentage). Syracuse counters with eight-goal scorer Tyler Johnson and 12-assist man Ondrej Palat. Goalie Cedrick Desjardins hasn’t been as unflappable as Thiessen, but has only lost once so far in the playoffs. This series has the potential to go to the limit, but I think SWB will prevail, mostly due to Thiessen. On the other side of the bracket, both West teams have dealt with tough opponents. Detroit’s affiliate, the Grand Rapids Griffins, were pushed to the limit by Houston and had to battle to get past Toronto. Edmonton’s affiliate, the Oklahoma City Barons(1), went to a full five games against Charlotte, then barely broke a sweat against Texas. The Griffins are led by Tomas Tatar and have a capable goaltender in Petr Mrazek. The Barons also have a four-player attack led by 10-goal scorer Mark Arcobello. OKC also has former Sharks star Jonathan Cheechoo, who has racked up eight points in the playoffs. Finally, the Barons have former Hobey Baker candidate Yann Danis between the pipes. Danis is known for coming up big for each team he’s played and I think his play combined with the Barons’ scoring attack gets OKC into the Calder Cup Finals.